Synthetic Biology offers the prospect of reprogrammed biological systems for improved and sustainable bioproduction. While early efforts in the field have been directed at microbes, the engineering of plant systems offers even greater potential benefits. Plants are already cultivated globally at low cost, harvested on the giga-tonne scale, and routinely used to produce the widest range of biostuffs, from fibres, wood, oils, sugar, fine chemicals, drugs to food. There is an urgent need to improve our ability to reprogram crop metabolism and plant architecture in the face of global threats from new pathogens, climate change, soil degradation, restricted land use, salinity and drought. The next generation of DNA tools for "smart" breeding of crop systems should be shared - to promote global innovation and equitable access to sustainable bioeconomies. OpenPlant is: (i) developing new tools and methods for plant synthetic biology, (ii) providing mechanisms for open sharing of standardised resources, (iii) applying these tools to world-leading projects in trait development, and (iv) facilitating interdisciplinary exchange, outreach and international development. The initiative promotes interdisciplinary exchange, open technologies and responsible innovation for improvement of sustainable agriculture and conservation. Further details of the vision and working principles of the OpenPlant initiative can be found on the VISION page. The OpenMTA provides a legal framework for redistribution and commercial use of materials, while respecting rights of creators and promoting safe practices.It provides a new way to exchange materials commonly used in biological research and engineering, complementing existing, more restrictive arrangements. The OpenMTA also promotes access for researchers and individuals working in less privileged institutions and world regions. Read more details. Introduction to OpenPlant, objectives, work programme and summary of recent progress. Also, the Handbook contains thumbnail sketches of OpenPlant researchers. Report from a co-funded interdisciplinary workshop that brought together researchers in law, synthetic biology, social science and history to consider the implications of the Nagoya Protocol for Synthetic Biology and modern biotechnology.An examination of the relations between existing access and benefit sharing agreements and changing scientific practices resulting from the capacity for gene and whole genome synthesis. OpenPlant supports mini-funding of interdisciplinary projects. The aim is to use these joint projects to build collaborations between biologists, engineers, physicists, programmers and others - using an interdisciplinary activity as common ground for exchange. We have two models for funding: The OpenPlant Fund awards teams £4,000 of support for a very wide range of areas - running from Social Sciences workshops to synthetic gene synthesis and testing, to hardware construction. Teams are offered £1,000 follow-on funding for outreach or further development of the project, conditional on public documentation of the project. The second model, the Biomaker Challenge, requires teams to bid for a £250 Starter Kit of electronics and access to £750 worth of additional components and 3D printing services. The teams work on their projects over the summer, and get together for an OpenTechnology exhibition in October. Scientists, engineers, students and entrepreneurs are developing the new Cambridge Biomakespace - an innovation space for building with biology in the historic MRC Laboratory of Molecular Biology building. An interdisciplinary network exploring the cross-over of biology with design, technology, engineering, electronics, software, art and much more. A place to learn about the latest technologies, share ideas and skills and shape projects. Clearing house for a wide variety of regular open meetings like Cafe Synthetique, Science Makers and the SRI Forums - with a particular focus on building tools and interdisciplinary research. Based in Norwich, the SAW Trust runs an international programme for interdisciplinary outreach and education based on an innovative collision of science, art and writing in the classroom. Cambridge and the John Innes Centre, has fielded interdisciplinary undergraduate student teams in the international Genetically Engineered Machine competition since 2005. Founded in Cambridge in 2014, the European Association of Students and Post-docs in Synthetic Biology (EUSynBioS) is an international student-led initiative to shape and foster a community of young synthetic biology researchers. 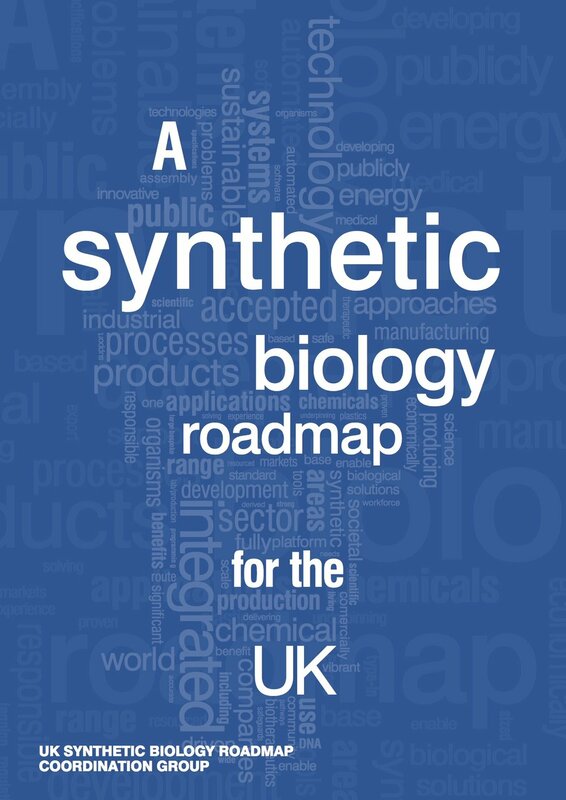 The University of Cambridge runs a strategic research initiative in Synthetic Biology. It provides a clearing house for information about synthetic biology research and activities in Cambridge. The Cambridge University Synthetic Biology Society, CUSBS, is a new undergraduate society aiming to promote Synthetic Biology projects and exchange. The Centre is a network of 50 organisations who work together to reduce global inequality by enhancing access to knowledge and fostering innovation.